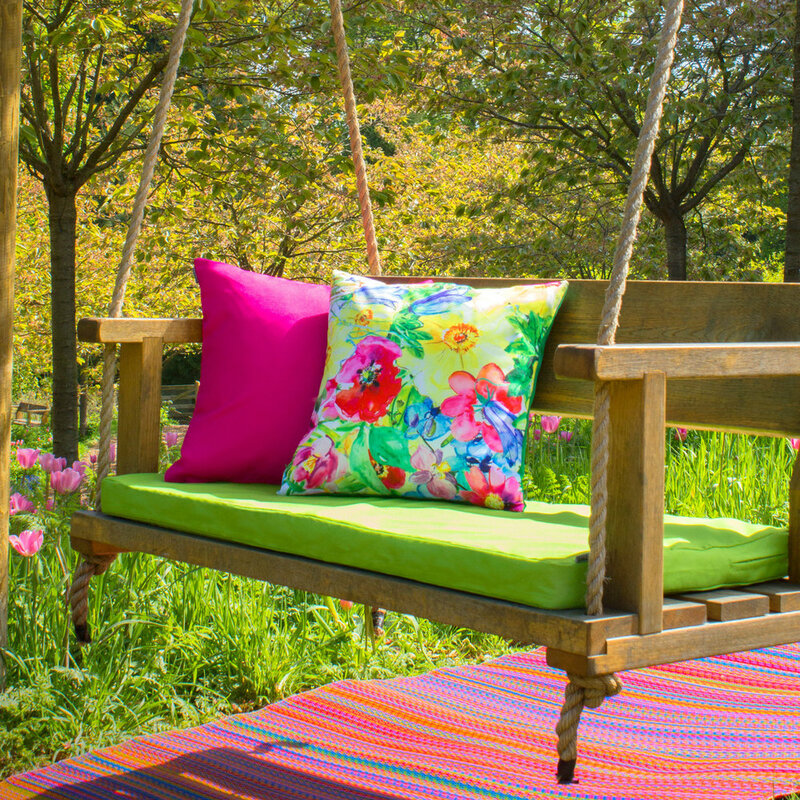 As head of design and development at British soft furnishings brand & design house Icon, Allison Chatten knows just what will be in vogue for the home and garden this coming year. Here Allison explains the top interior trend picks for spring-summer 2017, including how to use Pantone’s Colour of the Year, Greenery. “The start of spring brings the beautiful awakening of nature; with blossoms in full bloom and wildlife bouncing with energy. Stirring our senses with the hazy memories of carefree summers the Daydreams trend tempts a youthful soul. “With spring and summer comes the need to feel social and expressive once again. No longer are we hibernating indoors with muted lighting and cups of hot chocolate, but feeling ready for the warmth and vibrancy of joy-filled gatherings. The Blok Party trend captures the essence of this totally spring-summer vibe. “Stepping out of the darkness and into a season full of life is best represented with an abundance of colour and pattern, which is where the dramatic Stripe Action print and pattern trend comes into play. “As the days get longer, those that revelled in the warm mustard & deep teal hues of the autumn are drawn to the natural beauty of the garden. We all long for an Indian summer to hold on to our new-found outdoor lifestyle for as long as possible. With the Opulent Jungle trend you can bring a touch of tropical paradise closer to home. With an abundance of exciting style trends to explore in 2017, discover which one ignites your imagination. Then simply unwind and enjoy every fleeting moment of British spring-summer time with the ones that matter most.